You don’t only want to go to UNILAG because it’s a federal university, but because this great citadel is an hot-cake for her name and affordability. Show me a parent who will not want his child at Akoka (except you’re worried about cost of living in Lagos). Now you’re convinced you deserve to be there but it’s bleak. You don’t seem to have a comprehensive guide on the school’s admission processes. If you’d read a couples of online posts before mine, you could have seen how scanty information was about UNILAG admission and where you get something, they’re not just detailed enough; that instead of them to help, they leave you more confused. This piece aims to guide students on steps involved in seeking and being offered admissions into the university. Among schools already covered are: UNIBEN, UNILORIN and AAUA. Others will be right below this post if you care to check. Then let me share my experience with you about UNILAG admission. These I had acquired for more than a decade. My presentation blends with well researched information from reliable sources. I will take you through three roads and when we get to the end of the last road, we’re on campus. Don’t be worried with THREE. Though THREE is not a big number, I will cut the journey short, just to retain your patience to the end. Having the required SSCE result is the first stage in seeking admission into this university. Like any other higher institutions of learning, UNILAG takes O'level result serious - if not more seriously. By the required SSCE result, I meant, do you already have 5 needed grades in your relevant SSCE, WAEC, NECO, GCE, NABTEB? Things get easier for you if you can study the JAMB brochure for what you must have in the O'level results before you can fight for a space in the proposed faculty. Among the things brochure is meant to show you is the SSCE subjects requirements. This may sound general though, a few schools do have special requirements that other schools may not demand. Such conditions will be detailed in the JAMB brochure. After entering your SSCE result and JAMB subjects in the tool plus your propose course and school, JAMB will let you know if you qualify or not. Sound great? You should make use of that to save yourself some future headaches. Literally, you'll need at least 5 credit passes in relevant subjects in one or two sittings before you can choose UNILAG. However, some courses requires you to use ONLY ONE SITTING e.g Medicine. You can use two sittings for some others e.g Chemistry. Studying brochure is your best bet for this. Admission process into any school starts with UTME registration. 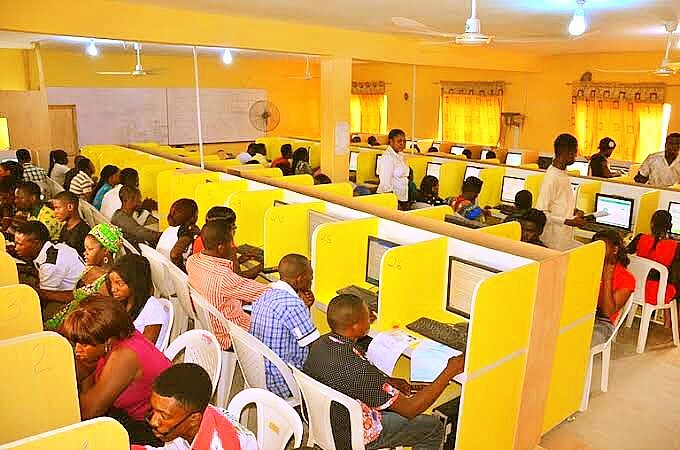 Unless you want to leave home through pre-degree, foundation class, Sandwich, Diploma, IJMB, JUPEB and the likes, you will have to pass through the hurdle of JAMB UTME. During your JAMB registration; at the CBT centre, select UNILAG as your most preferred institution (first choice). Well, you can’t even choose them as 2nd, 3rd or 4th choice. Why? JAMB only arranges the likes of UNILAG to 1st choice only. I have really covered what you must look for and how to look for it in my post, “How to Study, Understand and Use JAMB Brochure: Admission Success Channel”. You SHOULD click to read it if you’ve not. Don’t skip this please. JAMB doesn’t provide paper brochure for now but you can read CD type on your computer or study or download on JAMB website. To help further, they now provide you with a tool to check upfront if you're qualified for a school and the course for now. This is going to save you a lot of time if you don't want to worry about brochure. If you make it out with 200 or more, then you’ll be on the campus for the computer-based post UTME. They'll test you on your UTME subjects. If you write English, Maths, Physics and Chemistry in UTME, prepare same for UNILAG post UTME. UNILAG gives admission to you based on your performance in O’level, UTME and Post UTME. In other words, being offered admssion will follow the three critaria: SSCE results, UTME result and Post-UTME score. The school put the three together on calculation before you know whether you'll remain at home or join the winners on campus. In this grading system, your O’level is weighted at 20%, UTME at 50% and Post UTME at 30%. For the UTME, your score is divided by 8 i.e. 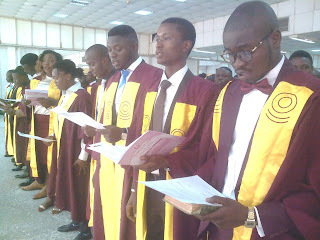 UTME/8. Now let’s calculate the aggregate. I will have to take you off this page to a post on UNILAG aggregate score calculation. I love the way the author had illustrated the calculation of the aggregates. I hope you'll love it too. This post will open in a new window or tab so you come back here and complete your reading. See it here. If your aggregate score meets or beats the school departmental cut-off mark, congratulations and welcome to campus! In case, you’re unfortunate to meet the departmental cut off mark, don’t give up yet. UNILAG usually publishes some courses for candidates who have certain points (aggregate) to consider instead. You have to be on the lookout for this because this opportunity doesn’t last weeks. You can also consider change of institution to any available institutions if you’re not satisfied by the published courses. This section doesn’t concern UTME candidates. So skip. Direct entry applicants are those who had completed their Bsc, HND, ND, NCE, IJMB, JUPEB, Cambridge A’level, Foundation, NABTEB Advance etc in a school and decided to proceed to the university to continue with their courses or related ones. obtain JAMB form. Yours is called JAMB Direct entry form instead of JAMB UTME form. Do Direct Entry (DE) Applicants Have to Write UTME or Post DE? You're exempted from writing post DE, so relax. I don’t have a lecturer’s number to give you for help. Most lecturers I know sometimes have one slot to spare yearly. These people are equally placed on certain conditions. You don’t just bring someone who failed in the post UTME. Some of them can only help you in the last re-published courses because merit comes first. Sincerely if you'd helped yourself, you didn't need help form a professor to enter UNILAG. That’s why I will only advise few of my students to consider UNILAG. I place my judgment on their performance in O’level and their academic abilities. Give me 5 distinctions, good UTME and Post UTME score - then you win my stamp. 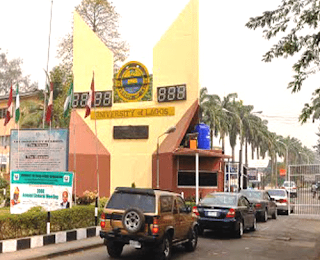 How Does UNILAG Distribute Admission Spaces Among Candidates? 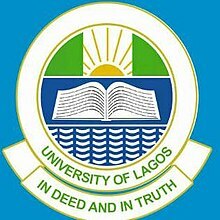 If you’re on the list of admitted candidates to the University of Lagos, you're obviously one of those candidates selected based on formula 45, 35, 20. This is the yardstick used by federal institutions to distribute their spaces among the lucky ones. By 45, I mean 45% of the admitted are on merit. This means these are candidates who had met or beat the departmental cut-off marks. These candidates, to me, are wow no matter their courses. It’s not easy dude! By 35, I mean 35% of the admitted are favoured because they belong to the catchment areas of the school. They’re equally on merit but the aggregate mark drawn for them are usually less than the general departmental cut-off marks. These are indigenes of Lagos State and some neighbouring states. By 20, I mean 20% of the admitted are from the less educated states. These candidates are majorly from northern part of the country. The law formula favours them to be considered with lesser mark than the departmental cut-off marks. I have less educated or less privileged states covered in my post, "Admissions Based on Educationally Less Developed States, Catchment Areas and Merit"
Gaining admission to the University of Lagos doesn’t have to be easier than this. You need something good, you must work for it then. If you want inferior, you, of course, know where to turn. But a great institution will not just take her reputation for granted. I had guaranteed admissions to the university for my clients most recently and it worked. On one condition – follow my guide to detail. See you at Akoka sooner!